Atlas Tickets is committed to providing a premium service for our clients. Each time you buy tickets from us, your confirmed order is protected by our Atlas Tickets Guarantee. With more than 25 years experience in the industry we are confident in the tickets we offer. 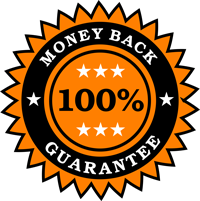 The Atlas Tickets Guarantee provides the following money-back guarantee on all confirmed orders. The Atlas Tickets Guarantee protection covers your ticket purchase price. Your order must first be confirmed to be covered by the Atlas Tickets Guarantee. Online orders are not confirmed until a Atlas Tickets representative has reviewed the order and verified the tickets are available. We reserve the right to deduct the shipping cost from your refund if the tickets for which you are requesting a refund were received by you. Atlas Tickets sole obligation or liability for undelivered tickets on orders shall be limited to our 100% guarantee. Visit our Faq for details on our guarantee and return policy. If you would like to have an Atlas Tickets associate contact you regarding a refund on an order, please complete the contact form. Our sales and customer relations team are available six days a week if you have any questions on the Atlas Tickets Guarantee. *Verifiable proof must be provided by the venue in written letter format. Written or stamped “voids” do not constitute verifiable proof.